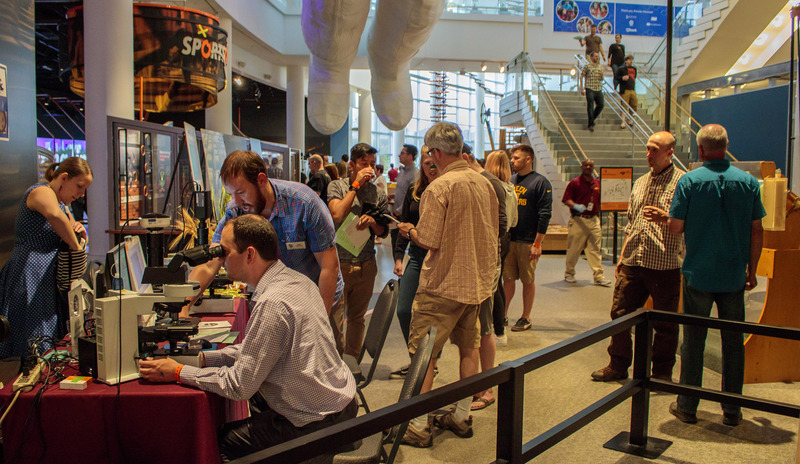 The Science Museum of Minnesota hosts an adults-only Social Science event each month. 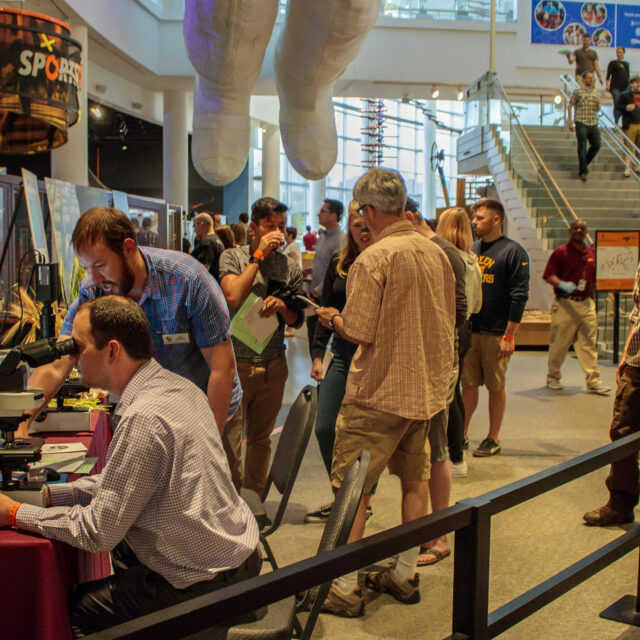 In July it was Fermentational Informational, where grown-ups could come and see all the exhibits at the museum, learn the science behind fermentation, AND sample beers and cider from local brewpubs. 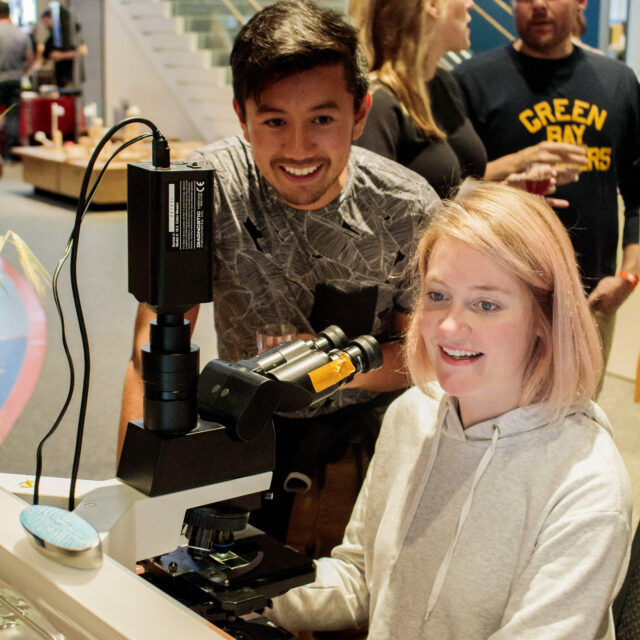 The museum’s own St. Croix Watershed Research Station provided visitors a chance to see how diatoms and beer were connected. 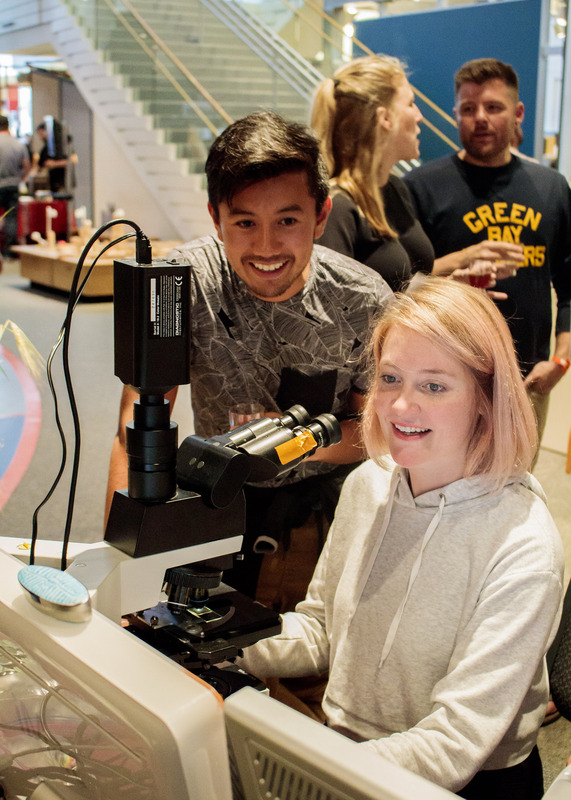 While we held their beer glasses, guests were invited to sit down at research microscopes and battle their beer buddy to find the coolest diatom from a Miocene diatomite used by microbrewers to filter yeast and clarify beer. Winners went home with cool new diatoms pins. They also learned how diatoms are used for water quality monitoring, because you can’t have good beer without good water.